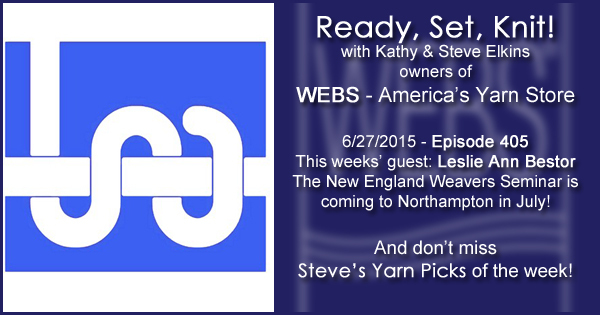 This week Kathy talks with Leslie Ann about N.E.W.S., the bi-annual weaving conference hosted by the New England Weaving Guilds. This year N.E.W.S. is at Smith College the weekend of July 9 – 12. 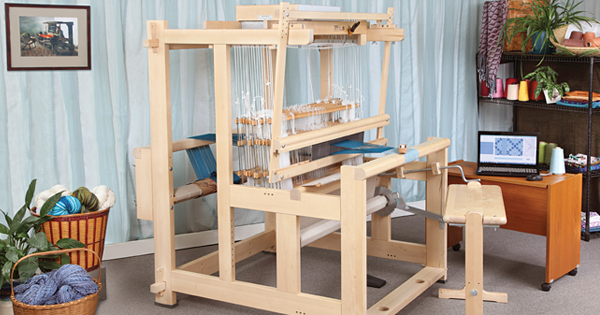 Learn from internationally know teachers in a wide array of classes from short 3 and 6 hour sessions to multi-day classes on every topic from beginner basics to advanced weaving, and even specific techniques. You can register for classes now. Check out the vendor show, as well as the gallery and fashion shows(the runway show is Friday night) that are open to the public. 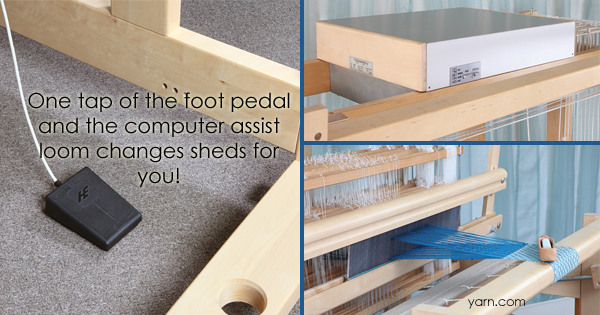 In the WEBS vendor booth you’ll find a Toika computer loom set up for demonstration that is for sale at 15% off, lots off mill end yarns, tools and accessories, benches, boards, and books! I-91 Shop Hop is HAPPENING RIGHT NOW! You still have time to shop and hop, all stores are open today until 6pm and will be open again tomorrow from noon till 5pm. And don’t forget there’s a special kit with exclusive patterns available at each shop! We are closed on July 4th and 5th to celebrate Independence Day – Shop in-store on the 3rd until 5:30pm and we’ll see you again on the 6th at 10:00am! Enjoy a safe and healthy holiday weekend. Summer Classes are online – sign up now before all the seats are filled!